The parents of a four-year-old autistic boy who hasn't spoken a word are going public about having to wait 2½ "incredibly frustrating" years to get him into speech therapy. The parents of a four-year old autistic boy who hasn't spoken a word are going public about waiting 2½ "incredibly frustrating" years to get him into speech therapy. "From his initial referral to speech to his first appointment, it was 920 days — of waiting," said mom Christine Long. She was then told the intensive, daily therapy her son needs still isn't available in the public system. "It feels like Finn has had it so hard his whole life. He just needs the help — and it should be there for him." Christine and husband Chris Long are from Surrey, in B.C., where the provincial government claims it has a "no wait list policy" for autistic children like Finn. In reality, that means parents of preschool children get $22,000 per year to spend on therapy, without delay, when their child is diagnosed. However, there are still long public waiting lists, for the actual assessments and therapies. There are even wait lists for independent, privately run services, which can also be very expensive. In Finn's case, the Longs say hiring a private speech therapist to work with him daily would cost approximately $4,000 a month. That is twice what they get from the government. "He wasn't that behind at 14 months...but at almost four — not being able to say a single word — he is incredibly behind," said Christine. "He’s at preschool. He can’t speak to the other children." The Longs say they spend all of their annual funding on essential behaviour therapy, which already costs $2,000 a month. Doctors say the little boy needs help urgently. 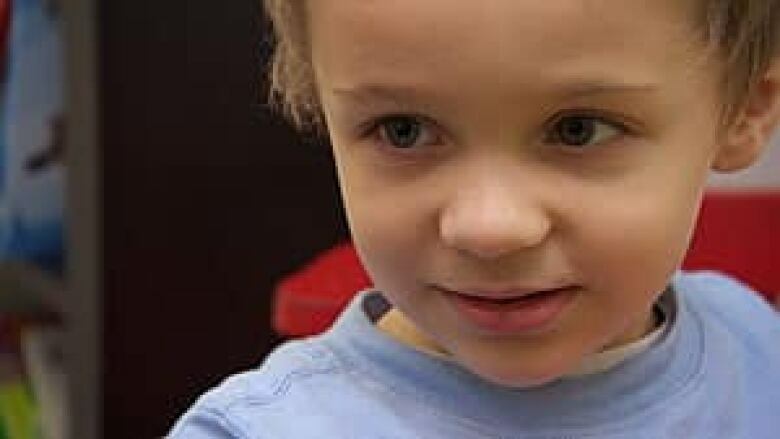 "We strongly recommend that he receive intensive speech and language therapy," Finn's specialists from the department of medical genetics at UBC wrote in December. His mother said she's left trying to teach him to communicate on her own, as best she can. Her latest goal is to teach Finn to blow out candles on his fourth birthday cake this month. "It’s just something that a lot of people take for granted — is their kid blowing out their birthday candles," said Christine. "It’s so hard … and it hurts." "It’s mind boggling. 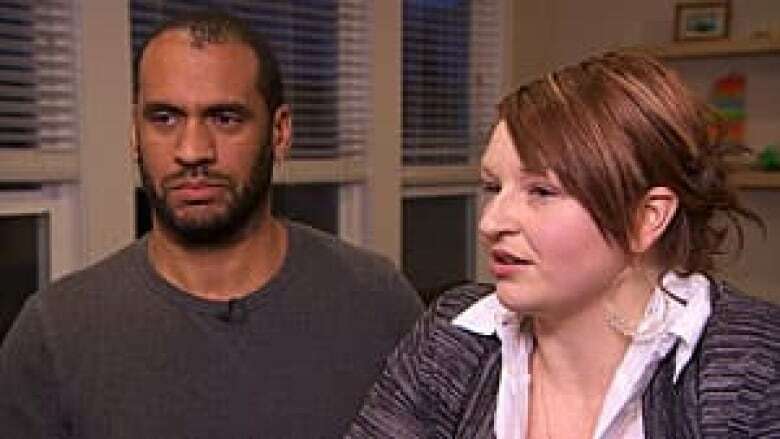 It’s so frustrating," said dad Chris, who said he works long hours to support the family on a modest income, so his wife can stay home to help Finn. "Give him the services now — so that way, when he’s six, eight, 10 years old, we can see the results." Several parents agreed precious months and years are being wasted while their children fall behind. "I'd love to chime in about the wait lists for speech [and other therapies]. It has been horrific!" wrote Melissa Haughian Piva, on a Facebook thread posted by Christine, asking other parents for their stories. 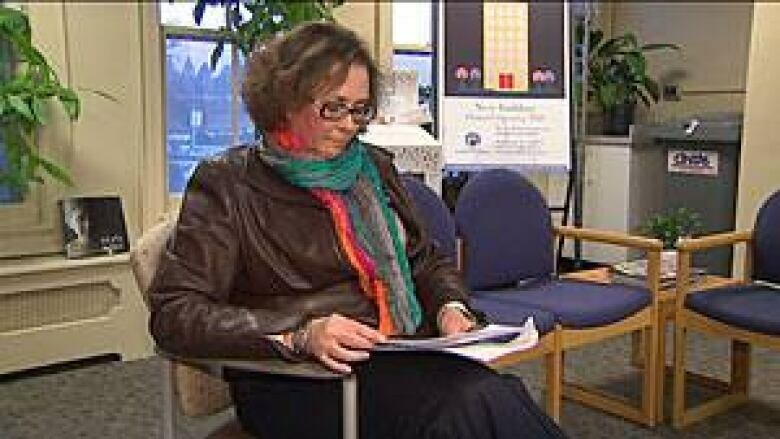 "I know every single parent I have spoken to also has a story about their fight and lack of help," wrote Janis Cox, also from Surrey. "It was too hard to watch Jake without therapy and help so desperately needed." Provincial figures show the median wait time — just for initial assessment — is 31 weeks. That's much better than 10 years ago, when children waited up to two years. 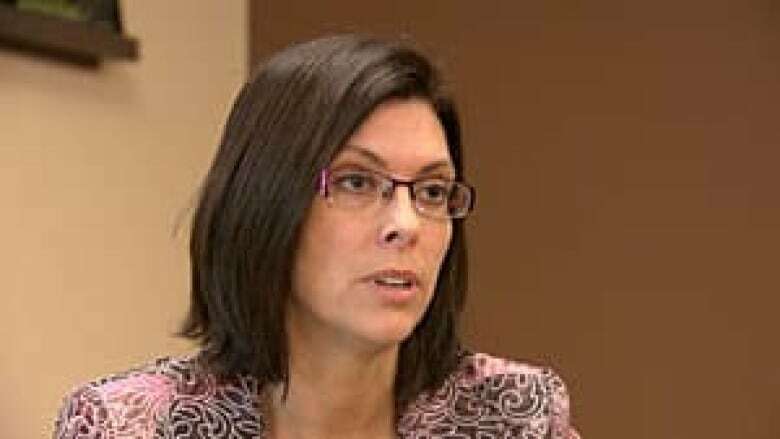 "We have more and more kids needing the services," said Stephanie Cadieux, B.C.’s minister of children and families, who is responsible for autism programs. Six-hundred children were getting treatment a decade ago, she said, while 8,400 need it today. Cadieux acknowledged the problems, though, and said she's working on improvements. "I understand the challenge for families in the way the system works," she said. "We need to make sure that they are not waiting." Parents report years of cumulative delays — for referrals, then assessments, then reports, and finally therapy. They also say the system — where services are contracted out to privately run service providers — is inefficient and bureaucratic. "Arielle is still on the wait list for speech therapy, which I originally put her on at 20 months old," wrote Surrey mom Ashleigh Gordon. "They cannot even give me an answer as to how much longer we'll be waiting. She'll be four in June — and still has no words." Wait times are even longer in some other provinces, including Ontario, where children in some regions face four year delays to get into intensive therapy. Ontario government figures show there are 1,672 autistic children on the wait list for Intensive Behaviour Intervention (IBI) while fewer than that — 1,381 — are getting it. Jo-Ann Reitzel, clinical director of the autism spectrum disorders service at McMaster Children's Hospital in Hamilton, Ont., said half of autistic children actually don't need IBI, but should have other options. "How can we match up right child to right treatment at right time?" she asked. "We need to be able to open up opportunities for them to have therapy alongside their early childhood educations." Sue Walters, a Markham-area mom with two autistic children, aged nine and 11, said she’s spent months or years waiting for almost every service they’ve received. "Eventually Michael was approved [for therapy] … when he was about 4½ years old," wrote Walters. Estimates are that one in 94 Canadian children are autistic. Finn Long’s mother is so desperate she is planning to study to become an autism speech therapist, so she can treat her son herself. "We can’t take out a loan for his therapy, but we can take out a loan for me to go to school," she said. "I’ll do it. But it’s not right. And my only hope is I will be able to help other kids at the end of it." As a result of Go Public's inquiries, the B.C. minister responsible is now scheduled to meet with the Long family, and is promising action. "Any situation where there has been a two-year wait, I think, is too long — and I’d like to look into it," said Cadieux.